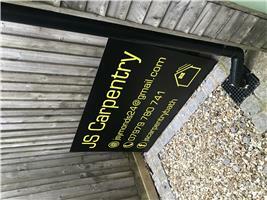 JS Carpentry - Carpenter based in Midsomer Norton, Somerset. At JS Carpentry we pride ourselves on a professional and friendly service which is given to all of our customers. We take on all Carpentry and building work. Commercial and domestic projects undertaken. just give us a call and we’ll let you know if we’re able to take on your project.